This first publication reveals a really amazing range of work - ceramic and glass - as well as mixed media. With only a few exceptions, this work is all from the last 15 years. Flentje's studio in Berlin Frohnau (213) seems to be an ideal place for creative experimentation. It is an adventure to leaf through the book and be amazed, to take time here and there to pause and follow one's thoughts. Occasionally we sense that the work reminds us of something we already know. Flentje is strongest when combining opposites in a playful way, creating new ways of seeing. At the end of the catalogue, Flentje gives us detailed information about her preferred glass-working techniques (pp. 199 - 207). One wishes this book a large readership, a group of glass enthusiasts who are curious, enjoy experimenting and still want to know more. 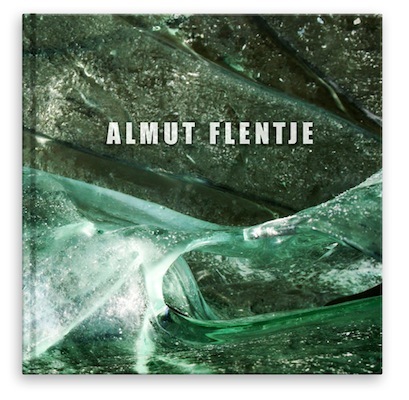 To have a look in the catalogue see www.almut-flentje.de.